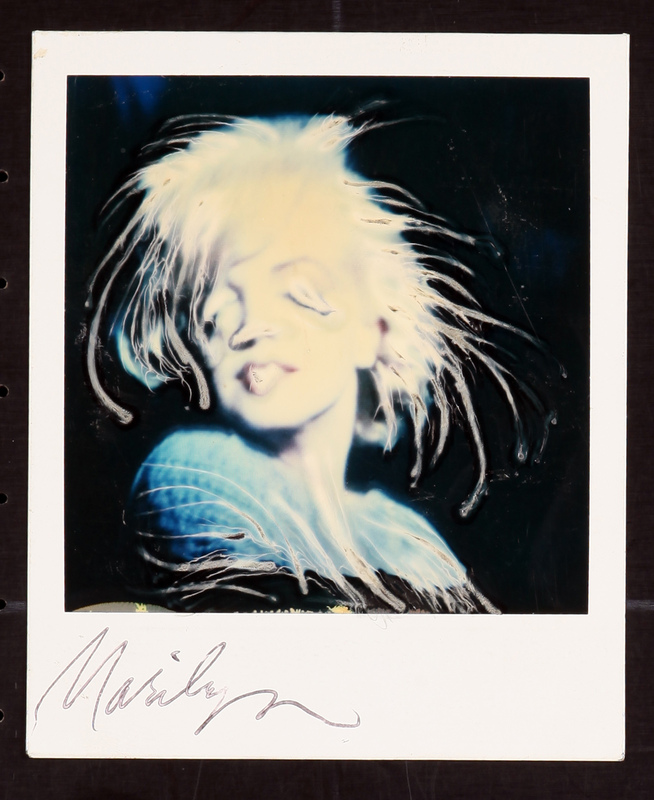 Based on a photographic technique Steadman developed while on holiday in Turkey when the emulsion between the sheets of plastic of the polaroid photograph melted on him in the hot sun. He realised that the emulsion could be effectively and graphically manipulated with a blunt (it had to blunt) pencil. 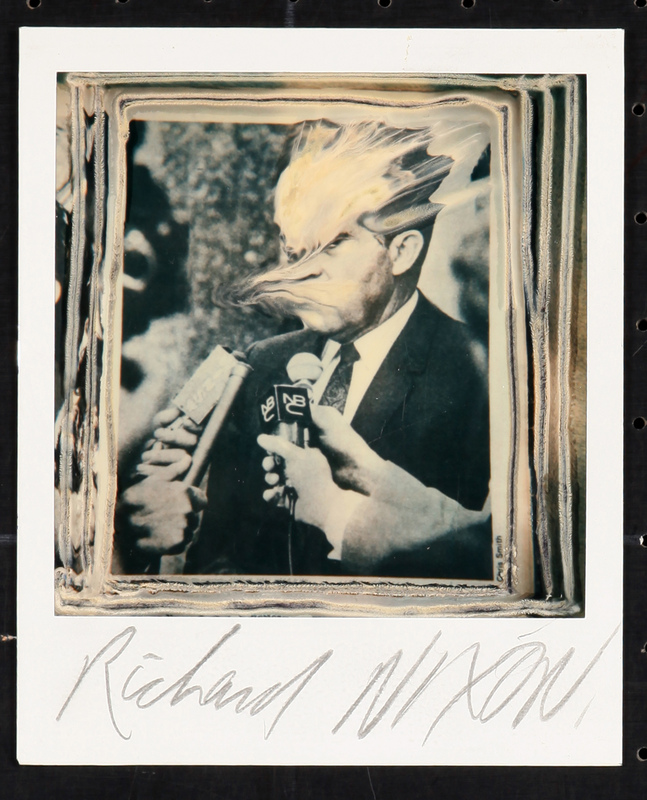 Paranoids is a series of Polaroid caricatures of the rich and not so rich and famous, is laced with the savagery and wit that are his trademarks. Polaroid changed their chemical process not long after the publication of Paranoids to prevent the reproduction of the Paranoid process. Seen through the combined lenses of the camera and and the eye of the satirist, the British Royal family, Ronald Reagan, Picasso, Marilyn Monroe, Queen Elizanbeth 1, Joan Collins and many other prominent people, past and present, will never look the same. Many of the photographs were photographed directly off the TV. 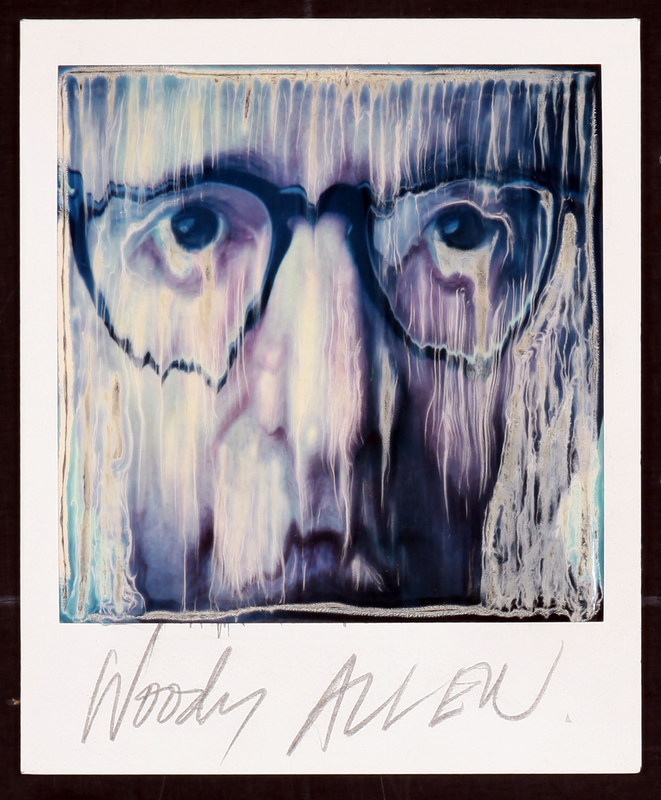 In the mid 80's Steadman always kept his Polaroid camera close at hand and managed to take a snap in person of artist David Hockney at an event in Aspen. Hockney cynically commented "it won't come out, y'know." Steadman maintains it is one of the best caricatures in the book!